I am currently working on a collection of theses ranging in date from 1838 – 1850. They consist of theses of all different sizes that have been bound in large book cloth bindings. Some bindings contain up to 9 individual theses, which has made the spine more than 10cm in width. 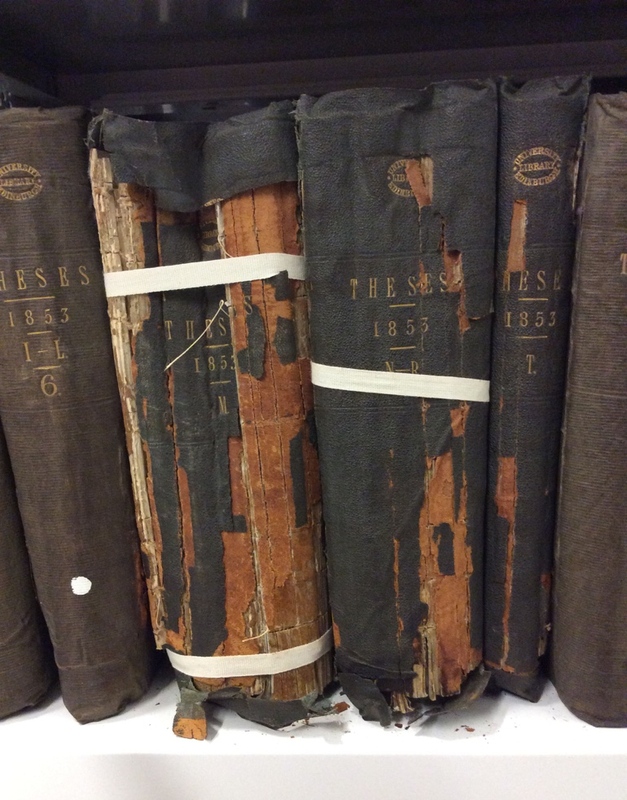 With such large bindings and different sized pages, surface dirt has accumulated in between the individual theses, and the bottom of the spines have become distorted and narrowed.